As Community Partners International’s (CPI) Health Systems Strengthening (HSS) Director, Dr. Zaw Toe Myint leads the organization’s cross-program efforts to strengthen the community-based and national health systems that CPI supports. 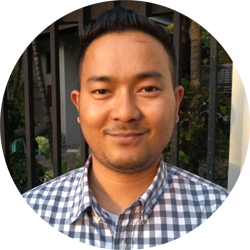 Dr. Zaw Toe Myint joined CPI in February 2017 soon after completing a Master in Public Health Degree at BRAC University in Bangladesh. Prior to completing his Master’s, Dr. Zaw Toe Myint spent nearly eight years working with international organizations in Myanmar, including Marie Stopes International (MSI), Malteser International and Merlin. During this period, he worked in Chin and Rakhine States, and Mandalay, Sagaing and Yangon Regions in a variety of medical, coordination, project management, and monitoring and evaluation roles focused on maternal and child health, infectious disease and primary care programs. Dr. Zaw Toe Myint holds Bachelor of Medicine and Bachelor of Surgery Degrees from the University of Medicine, Mandalay, Myanmar, a Master in Public Administration Degree from the University of Economics, Monywa, Myanmar, and a Master of Public Health Degree from the James P. Grant School of Public Health at BRAC University, Dhaka, Bangladesh.